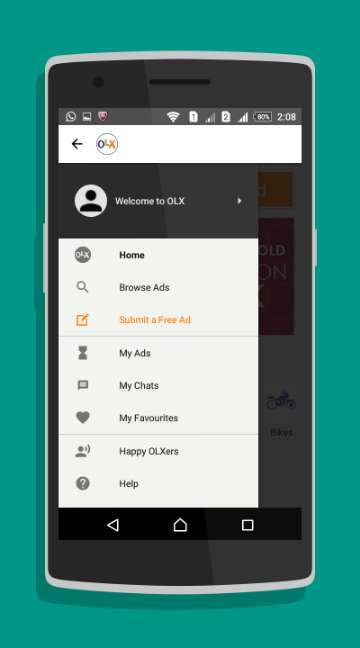 OLX is a free local classifieds website/app & here you can download the app. You can submit your ads without any cost and having an account is not necessary. You can sell any item you want, such as computers, furniture, clothes, gadgets or even used cars. Most of the items that are sold at OLX are second-hand products. However, they are in good shape, and most of them look pretty good and well preserved. You have the option to chat with the sellers in private, and negotiate for the price of products. Positive thing is that there is no transactional fee or commission for bought and sold items. You also have an option to set alerts to receive about popular deals in your place of living. OLX also can be used as an app on your smartphone, which makes buying, selling and negotiating a lot easier. 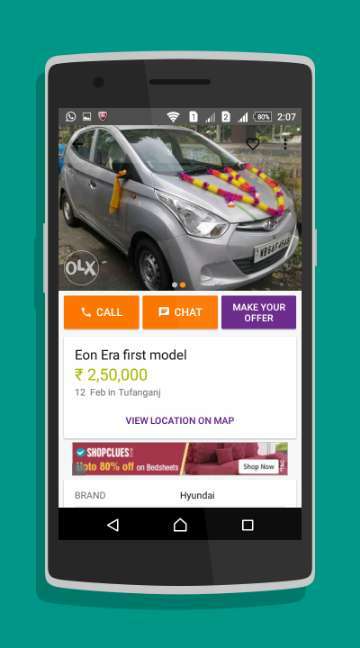 OLX app is very handy and helpful. You can easily locate the local sellers, stores, services or products that are near your location. The search is very easy. One of the best pros about OLX local classifieds is that if you are interested in a specific service or product in your state, it filters those sellers and stores that sell that product or that provide that type of service that you are looking for. This is really good for the customers, as it saves lots of time, energy, effort, as well as money. You can save your favorite ads. Those ads that are frequently seen by you can be saved as your favorites. You also have an option to receive a notification immediately if there is a change in your favorite ads. Variety of products. You can search among millions of products and you have endless possibilities. Ranging from new, unused products to some used items - you have it all. Whatever it comes up your mind ? they have it. Home tools, garden items, cars, boats, books, TV sets, really there is no limit of things which you can find. You may spend hours and hours of browsing and looking for products as there lots of things to choose from. There are things interesting for men and women, as well as children. Kitchen appliances, smaller and bigger gadgets, furniture, sports equipment and clothes are their most popular categories. Variety of services. Besides products, you can also look for different services that you might need on OLX local classifieds. There are management services, job seeking services, job offers, services from many different industries, etc. You can also find lots of offices or apartments which you can rent for some pretty attractive prices. There is no third party. This is one great pro, as OLX local classifieds does not use third parties and there are no additional or hidden fees or charges for the customers. When you look to buy something you are directly connected to the seller through messages, e-mails or phone calls. The buying and selling is happening only between the buyer and seller and there is no intermediary.